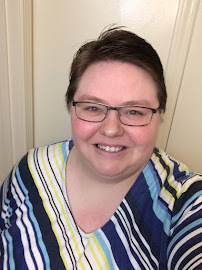 Jennifer Neyhart: Link Roundup - Reviews of "A Year of Biblical Womanhood"
Link Roundup - Reviews of "A Year of Biblical Womanhood"
I have been reading her blog for almost two years now. I just finished reading her first book, Evolving in Monkey Town: How a Girl Who Knew All the Answers Learned to Ask the Questions. And today was the day that A Year of Biblical Womanhood by Rachel Held Evans, formally hit the shelves. Rachel’s project—which involved a playfully imperfect (she repeatedly admits the imperfection) attempt to take the Bible “literally” in the things it says to women—has been interpreted as a “mockery” of the Bible; an exercise in the hermeneutics of suspicion, if you like. But while I have seen critics pick her project apart as everything from unoriginal to straw-woman silliness, I have heard none of them affirm what is her clear aim: to show that the Bible is nowhere applied literally and, moreover, that to apply it literally and rigidly is, more often than not, to miss Scripture’s point in the first place." "Evans is not mocking the Bible, but exposing the illegitimacy and randomness of a literalist reading of the Bible; the book is an exercise in biblical hermeneutics." "This book may be to a point about women and their relation to God, man, and each other, but it is ultimately the story of us all---seeking after a God who disclosed Himself to us not through easily reducible terms but through the unfolding of a narrative we have been invited to participate in." "A project like A Year of Biblical Womanhood, in which Rachel Held Evans spends a year attempting to follow every specific biblical principle applied to women, could easily have come off as a mockery, one more 300-page joke about how the Bible is backward and legalistic and written by women-hating ancients. Instead Evans invites us into her struggle: her love for scripture and her willingness to work through the parts of the Bible that she isn’t quite sure how to make sense of." "What Rachel Held Evans gives women (and men) like us—those of us who love the Bible and long for it to be used, not as a weapon in combat with other believers, or a list of dos and don’ts by which we measure our worth or judge the worth of others—is the possibility that scripture is a blessing." "Numerous criticisms have been levied against the book –as a mockery of Scripture, as gimmicky, as irreverent – and if you go into the book with that hostile mindset, you may find those things. But that is simply the worldview you bring to the text, not evidenced in the text itself – which, ironically, is the exact same accusation many have leveled on Evans herself." Don’t assume that Evans is snarky, though. She’s not. The tone of her book is mild and kind. Sure, she disagrees with evangelical complementarianism and is out to show its impracticality, but she doesn’t aim insults or hurl anathemas at anyone. And, you might ask, what about complementarianism’s biblicality (to use a non-word)? Well, read the book. Evans uses a lot of Scripture to show that anyone who tries to take it all literally will simply fail. She says “The Bible isn’t an answer book. It isn’t a self-help manual. It isn’t a flat, perspicuous list of rules and regulations that we can interpret objectively and apply unilaterally to our lives.” (p. 293) Also, “The Bible does not present us with a single model of biblical womanhood, and the notion that it contains a sort of one-size-fits –all formula for how to be a woman of faith is a myth.” (p. 294)"
"Some reviewers have said that Rachel mocks the Bible, but I wonder what book they were reading….if they read anything at all. Does she employ a little snarky humor? Yes. But I never doubted that she loves the Bible and more importantly, that she loves God. I think to question something and then throw oneself into extensive research and life-interrupting, inconvenient, and uncomfortable situations to answer those questions shows more devotion than blind-acceptance of traditions simply because “that is the way it is.”"
"This book made me want to run to my Bible with a renewed sense of excitement to find the stories of women rarely mentioned in the Sunday-morning service. It made me want to do further research into several theological concepts mentioned." "...I realized that this book is not about labels or division. It wasn’t really ever about complementarianism or egalitarianism or fault lines in the earth. She wrote it because she aches for the forgotten women. The lost ones. The silenced ones. The heart-cry I hear from the pages is not Equality! Feminism! Rights! But rather love." "She is speaking loud into the culture wars and across the fault lines, and sometimes it feels intense. You might not always agree; you might have chosen to say it differently. But if you listen, really listen, you can hear under all of it the beating of a broken heart. A heart for women. For a faith that doesn’t always make sense. For a church that so often feels inaccessible. Most of all, for God." "For a year, she took all of the Bible’s instructions for women as literally as possible. But the book isn’t simply about biblical womanhood or complementarianism vs. egalitarianism. It’s an insightful, wise, and disarming book about how we read and interpret the Bible, how we wrestle with our theology, how we try to live out what we think and believe we know about God." Would you agree with any of Kathy's points?